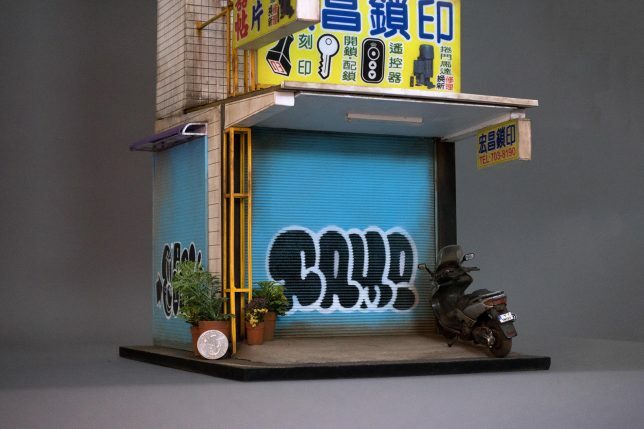 In a world of pristine and perfect model architecture, this replica of a locksmith in Taiwan boasts dirt, grime, graffiti and rickety structural details. 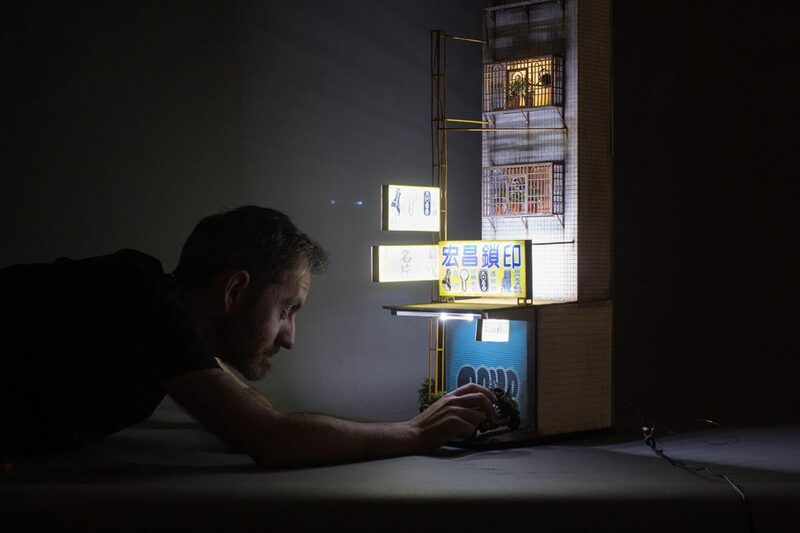 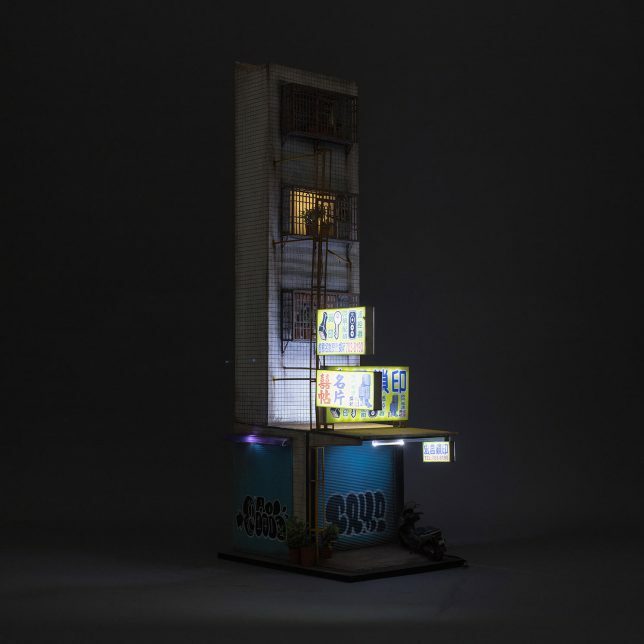 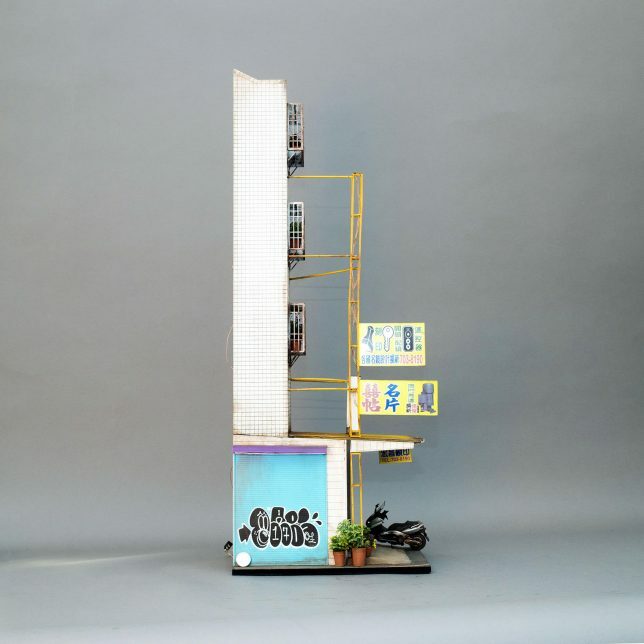 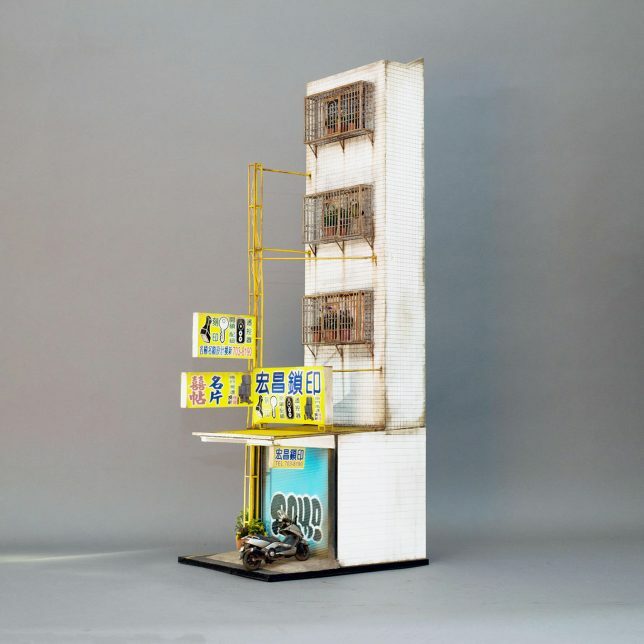 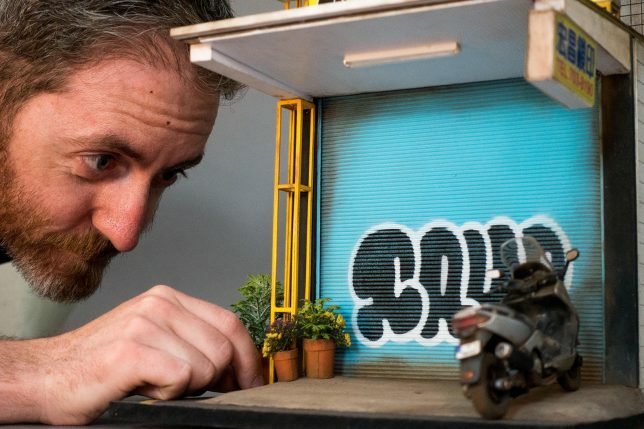 Crafted by Joshua Smith (images by Ben Neal), this 1:18 scale micro-structure lights up at night and takes on a particularly compelling realism in the relative dark. 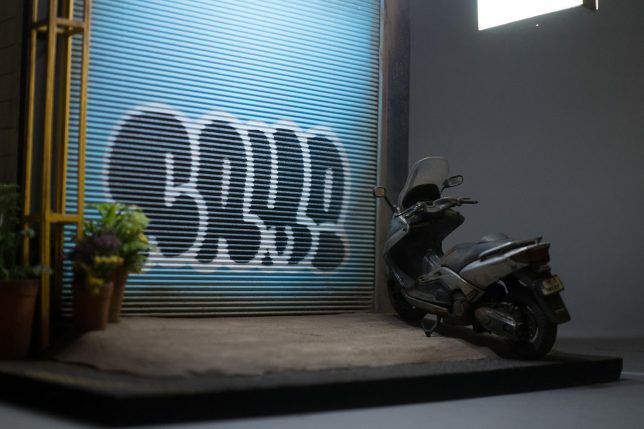 Ballpoint pen plastic is worked in to flickering lighting fixtures while tagged walls and a rusty motorbike give it a sense of character and scale. 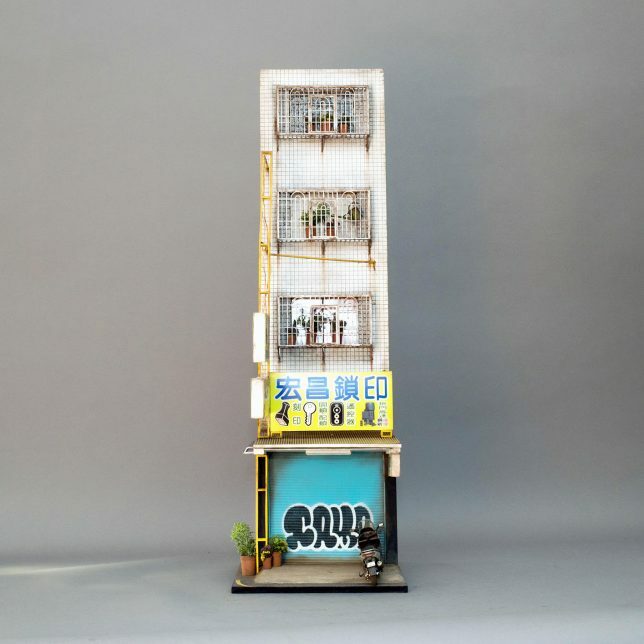 Based in South Australia, Smith previously worked for sixteen years as a stencil artist, and has now shifted his focus to model-making, with an emphasis on urban realism. 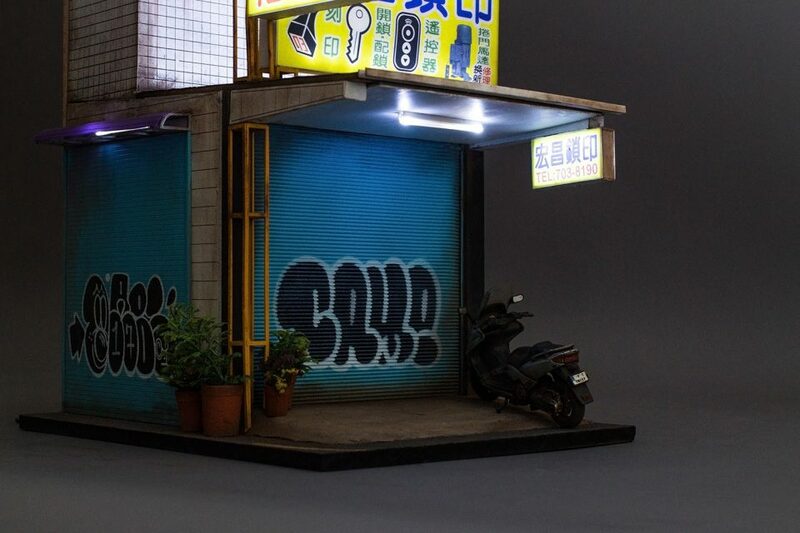 Be sure to check out more of his work here as well.